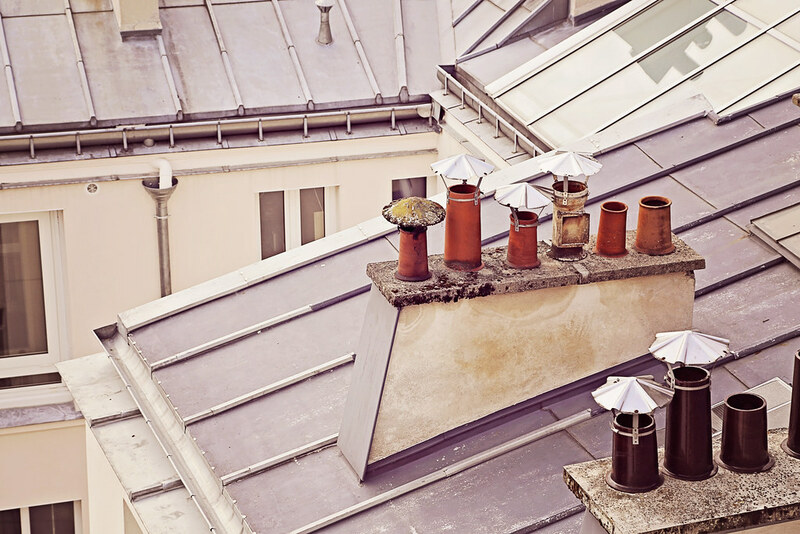 A trivial but iconic architectural element of Europe are the chimneypots that adorn the rooftops of houses and buildings. In Paris, in particular, they are ubiquitous and occur in unusually large concentration on nearly every building. 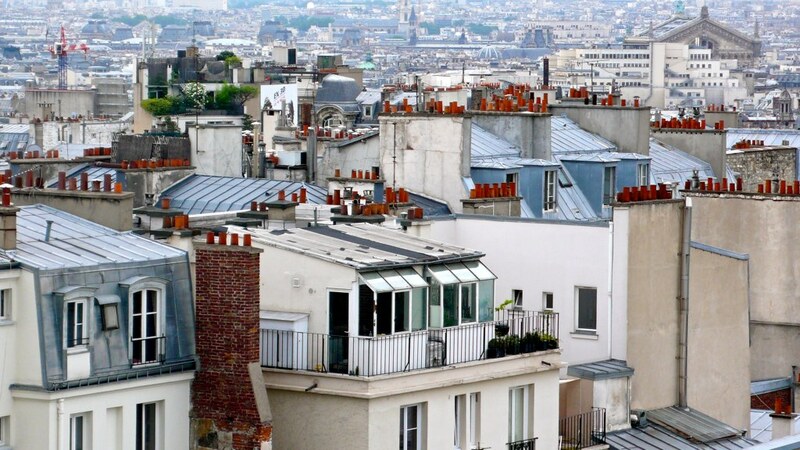 As these photos testify, it is impossible to look over the rooftops of the sprawling French capital without being accosted by chimneypots. You can actually tell how many individual fireplaces the building has or had by counting the chimneypots. 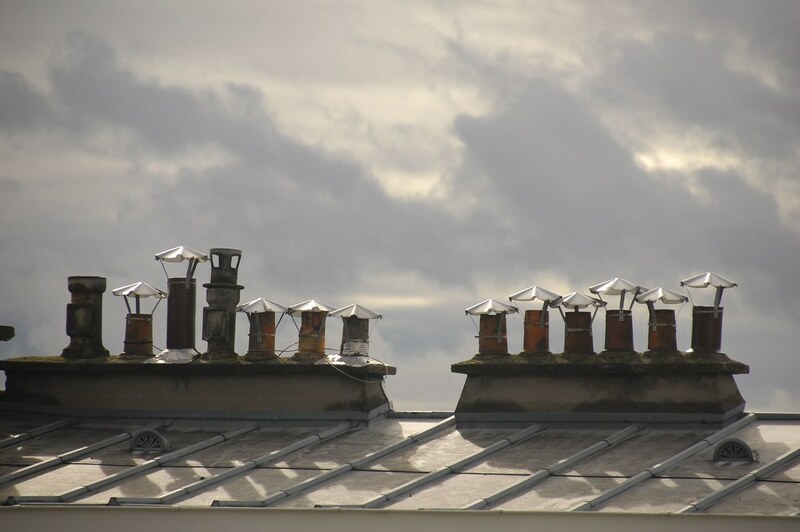 Chimneys first appeared in Europe possibly in the 13th century. Prior to that, homes were heated by an open fire set on a clay or brick surface in the center of the house, over which meals were cooked and people huddled around for warmth. The smoke from the fire would fill the house and only escape through a hole in the roof or in the wall made for the purpose. Early chimneys appeared only on large manor houses, and during the Tudor period it became fashionable to have ornate brick chimneys and stacks. The development of chimneys did not eliminate smoke entirely from the house, because the nature of heat was poorly understood and chimneys lacked the design to effectively draw out smoke. Until the 18th century, most scientists believed that smoke was carried by heat and since heat moved from warmer to colder regions, little could be done to prevent smoke from filling a room. In fact, it was thought that a room filled with smoke was an indication of it getting warmed. Only when the room became sufficiently warm would smoke, according to their understanding, would exit up the chimney. In the 18th century, scarcity in wood made people shift from burning wood to burning coal. When dirty coal soot stated filling homes, a solution to remove smoke from rooms was earnestly sought. This lead to many new chimney designs and important developments, notably by Benjamin Franklin and Count Rumford. Coal was also expensive, so only the rich could afford to have chimneys. 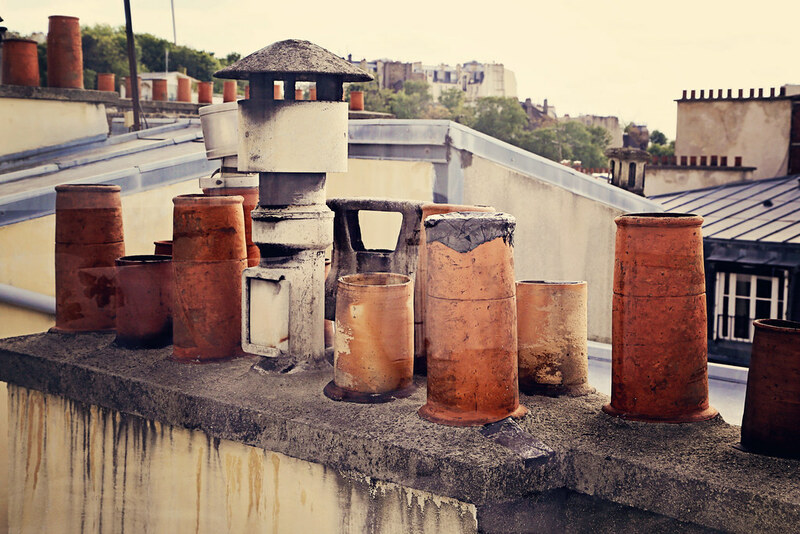 Soon people began to flaunt their wealth by having as many chimneypots as possible on their rooftops. Those who couldn’t afford to buy coal still had dummy chimneys built with pots to increase their worth among their neighbors. The Victorian era was the 'Golden Age' for chimney pots. During this period, elaborate clay and metal designs became commonplace and all the rage. Chimneypots also became a way for people to personalize their homes, as a lot of terrace houses built during that period were identical. 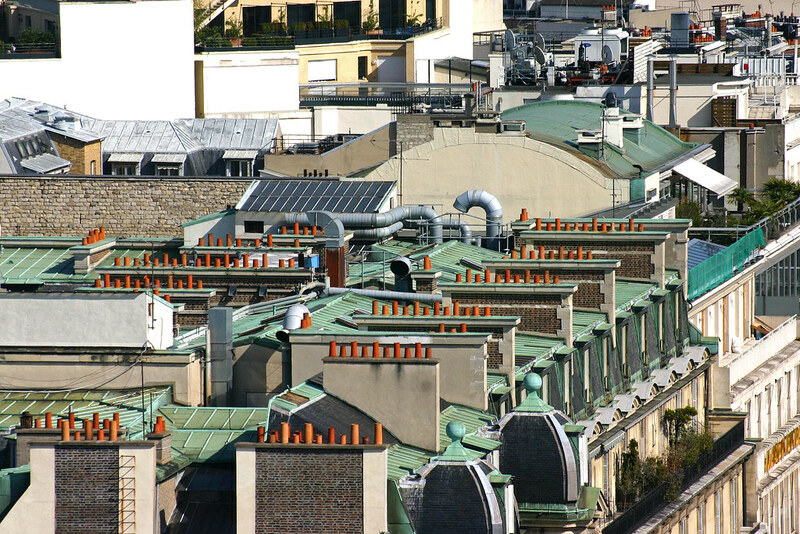 Most modern homes today have electrical heating systems, but the skyline of Paris is still spiked by these now defunct chimneys.